It is said the land level of Ireland rises a few feet every March because so many people have left for the National Hunt Festival at Cheltenham. English-Irish rivalry at this pinnacle of jump racing has always been keen but it has risen to new levels in the 21st Century, with many Irish winners across all the races, including the Gold Cup, Queen Mother Chase, Champion Hurdle and Stayers Hurdle. 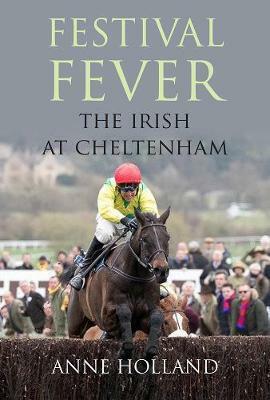 But Festival Fever, The Irish At Cheltenham is about more than the winners, it is the whole atmosphere, the mix of ex-pat and visiting Irish among the thronging crowds, the craic; what goes on behind the scenes; many surprising stories are told. It is also about the fascinating history - racing was banned at Cheltenham for a period during the 19th century; and the 1980s saw a dearth of Irish runners which led to enterprising attempts by the racecourse to woo them back.